ROMANCE BOOK PARADISE: A UNION OF SOULS by K. D. Richardson and a Giveaway! A UNION OF SOULS by K. D. Richardson and a Giveaway! Today we have author K. D. Richardson with us and he's talking about his latest release A UNION OF SOULS. K.D. Richardson is a graduate of Miami University (Ohio). He has been a writer since 1996. 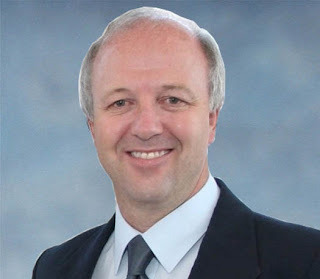 Mr. Richardson has written five previous books including Reflections of Pearl Harbor, Journey Across Time, The Second Season, A Different Drummer, and Spirit of the Season. In addition, Richardson has written seven screenplays covering many genres. He is also a sports photographer and columnist for The Venice Cornerstone newspaper in his home state of Ohio. What was the inspiration behind A Union of Souls? I started A Union of Souls after hearing the song Chicken Fried by the Zac Brown Band. The song talks about a southern man who, "...likes his steak 'chicken fried,' a cold beer on a Friday night, a pair of jeans that fit just right..." You know, the good, relaxed life. I wondered how that man got to that position in life, so I back-tracked on his life, and as I began to write the screenplay/story, things took all sorts of crazy turns. Tell us a little bit about A Union of Souls. If anyone remembers the screenplay Heaven Can Wait starring Warren Beatty, you will be able to relate to A Union of Souls. In this story, two men are fatally injured at nearly the same time, but the New York bookworm, Louis Sherman survives in the body of a Georgia redneck named Travis Lane. Louis, now Travis, has to clean up the rowdy lifestyle set forth by his predecesson and try to win back the love of his soon-to-be-ex-wife. Blue-collar Travis Lane, on the other hand, grew up in a dysfunctional Georgia home and became a wife-abusing alcoholic. He had no future. Following an accident involving these two men, Travis wakes up in the hospital with very few memories. He does, however, believe that his name is actually Louis. One lucky commenter will get a copy of A UNION OF SOULS today! I love books about second chances. Thanks, Nas! This story had a unique twist to seocond chance and very good reading. This book sounds intriguing. The author backstory for it did help. Second chance stories are wonderful. People learn from their mistakes and straighten their ways. A Union of Souls looks like it has a very unique twist to the story and sounds intriguing. It is going to my to be read list now. Thanks for coming along to read and comment on this post! I really enjoy reading these type of stories. Hi Nas! Hi K.D. Was intriguing to read about a book by a guy. I loved the way the story came about. D.
It is an interesting concept and story. I hope you'll check it out! A differnt book than I usually see here. But very interesting! Ideas can come from the most random places. But a wonderful premise. I like to explore new ideas and push the envelope a bit. I'll have to get a copy of this book. It sounds great. Thank you for coming along to check this post out! I do hope you like the book when you check it on Amazon. Thank you for checking in from Ireland! Hope you're enjoying your holidays! Great interview. Second chance books are sooo uplifting. They give hope the impossible can be accomplished. Thanks for dropping by. I agree second chances are good to read because we all make mistakes and look toward getting a second chance in life! I do hope you get to check out A Union of Souls and read this second chance book! Great to meet K.D. Second chances is a favorite plot of mine, too. Very interesting premise. Sounds like a good read. Thank you for introducing is to yet another book. Will check it out. It is a great read! Thank you for coming by! Thanks for the introduction to A Union of Souls, sounds interesting! I remember the movie Heaven Can Wait. 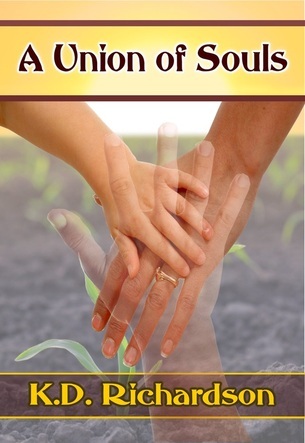 A Union of Souls sounds like a wonderful read! Congrats to K.D. Richardson. Thanks for this great review, Nas! Congratulations on the release of your CONSTRUCT A COUPLE and thanks for coming by! A unique premise! Very intriguing. Thanks Alexia and Denise for visiting and commenting! What an interesting premise! I bet this is a great story. I'm already rooting for these characters! Thanks so much for dropping by! I hope you like this story when you check it out! What a great premise. There are people who desire clean slates. It's interesting to read about it happening. Sounds like a good book. I like second chances! Thanks for coming by and reading about A UNION OF SOULS!